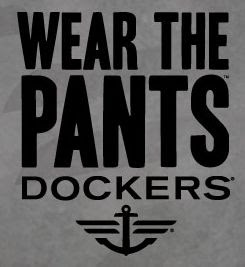 Dockers is giving away thousands of pairs of khaki's on Superbowl Sunday (02/07/10)! Watch for the Dockers "Men Without Pants" commercial and then go here to enter to win. Here is the disclaimer: No purchase necessary. Size and style of pants subject to availability. A purchase of any kind will not increase yourchances of winning. See Official Rules for details. Legal residents of the 50 United States (D.C.) 18 years or older. Ends 2/15/10. To play and for Official Rules, including odds, and prize descriptions visit http://dockers.promo.eprize.com/game.Void where prohibited.